SKU: 3334-N-S. Categories: Shop All ThinLine Products, Endurance Saddle Pads, Western Saddle Pads, Western Correction saddle pad, Sheepskin Half Saddle Pads, Western Horse Tack, Therapeutic Saddle Fitting Pads. Tags: endurance pad, round, rounded skirt, saddle pad for sore horse, Treeless saddle. Nothing’s more important when out on an extended ride than the protection and comfort of your horse’s back. A panel of ThinLine shock absorbing, breathable foam is sewn onto a high quality quilted cotton pad, with medical grade sheepskin under the rounded skirt. Breathable ThinLine technology helps to keep backs cool. In addition to the best protection for your horse, there is a pocket to place shims for saddle fit adjustment if needed. This is one of the finest ThinLine products we have produced. This pad has been to the Tevis Cup many times and even Mongolia! Endurance riders, rest assured this is the best product you can buy for yourself and your horse. You will see and feel an increased performance in how horses lift their backs. Riders will sit closer, quieter, and will be able to do more longer and faster. Learn more about the amazing technology behind ThinLine under the “About Us” tab. To add shims for saddle fitting needs, place the item in your cart, the shims will appear below, or click here: Western Saddle Fitting Shims / Inserts. Q Does this pad have the wither relief like the contour western pad? A Thank you for your question! 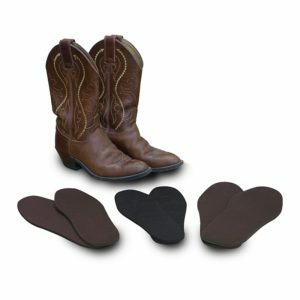 This pad has a nicely contoured wither profile, very similar to the Contour Western Ranch pad! A Thank you for your question! This pad measures about 1 1/2" fully fluffed and about 3/4" compressed. Q Can this be ordered with black sheepskin? A Thanks for your question! This pad can be customized and the timeline would be about 6 months. You may also like our new Endurance & Drop Rigging pad, available fully lined with easy care, synthetic black fleece.